The hospital at 1501 N. Campbell Ave. formerly known as University Medical Center and for the past three years as the University of Arizona Medical Center — University Campus is getting a new name. The new name is Banner — University Medical Center Tucson. Pending an approval by the Arizona Board of Regents on a merger to bring the University of Arizona Health Network into Phoenix-based Banner Health, the new name for the hospital that houses Southern Arizona's only top level trauma center will take effect when the merger is complete — a date estimated to be Feb. 27. 1. 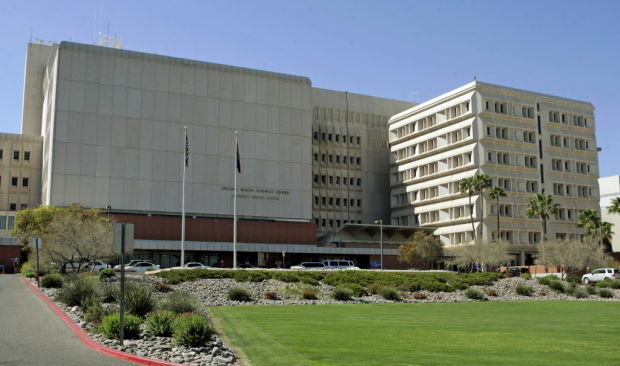 University of Arizona Medical Center — South Campus (formerly known as Kino Hospital and University Physicians Healthcare Hospital at Kino), 2800 E. Ajo Way, will now be called Banner — University Medical Center South. Banner officials today also announced some leadership news, including the departure of current University of Arizona Health Network president and CEO Dr. Michael Waldrum. · The merger closure will bring Kathy Bollinger into the position of President of the Banner – University Medicine Division. Bollinger is moving into the new post after six years as President of Banner’s Arizona West Division. · Tom Dickson will join the Banner – University Medicine Division executive team as Chief Executive Officer at the Banner – University Medical Center Tucson and South campuses. Dickson is moving into the role from his post as CEO of Banner Thunderbird Medical Center in Glendale, Arizona. He will replace current CEO Karen Mlawsky who is moving into another senior executive role within Banner as CEO of Banner Desert Medical Center in Mesa. · Dr. Steve Narang will continue in his role as Chief Executive Officer at Banner – University Medical Center Phoenix (formerly Banner Good Samaritan Medical Center). Narang was named CEO at Banner Good Samaritan in 2013 and prior to that he served as Chief Medical Officer (CMO) of Cardon Children’s Medical Center in Mesa. · Jeff Buehrle, Banner’s Chief Financial Officer (CFO) for the Arizona East Division, will become the CFO for the Banner – University Medicine Division. · Cathy Townsend, Chief Nursing Officer at Banner Boswell Medical Center in Sun City, Arizona, will move to Tucson as the CNO for Banner – University Medical Center Tucson and South campuses. · Another new division appointment is Dr. Jason Krupp who will become Chief Executive Officer of Banner – University Medical Group. Krupp comes from Banner Good Samaritan Medical Center in Phoenix, where he served as Chief Medical Officer. · Dr. Robert Groves, will become Chief Medical Officer for the Banner – University Medicine Division. Groves will serve in this new role while continuing his Banner system responsibilities as Vice President of Health Management, in which he provides physician leadership for population health management, medical informatics, telemedicine strategies and reliable design of clinical care delivery.